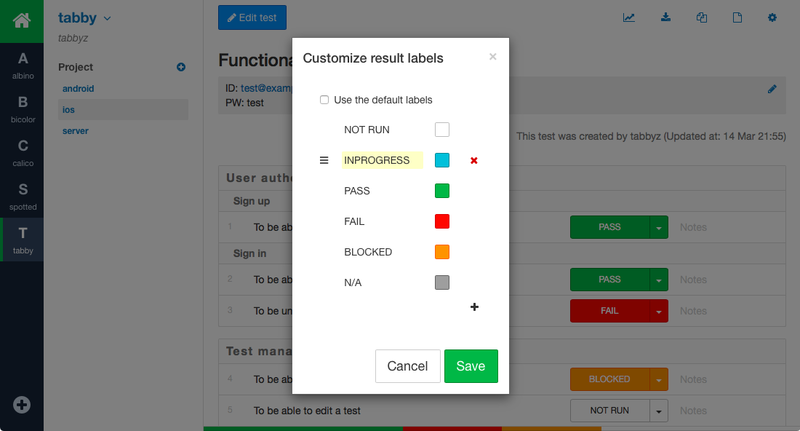 Chibineko supports your manual testing with its useful functions like test case creation, test execution, and progress management. Its simple design expands the usability in various situations. 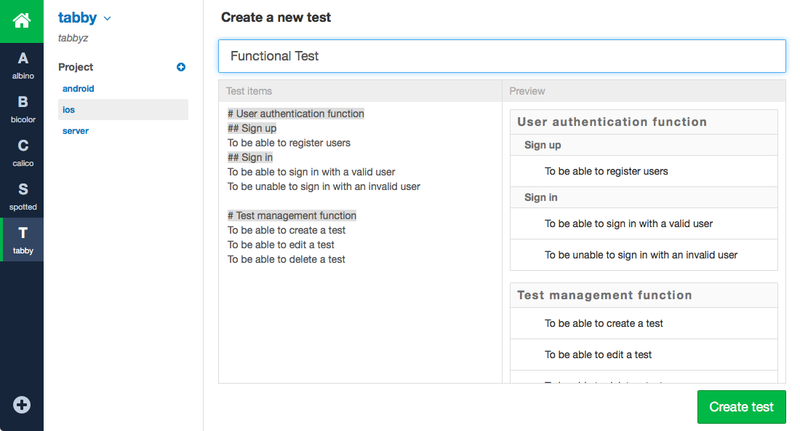 With "Team" feature, you can share your test data among limited users. It enables you to secure your data information and manage test cases effectively. Each test case has its individual URL. 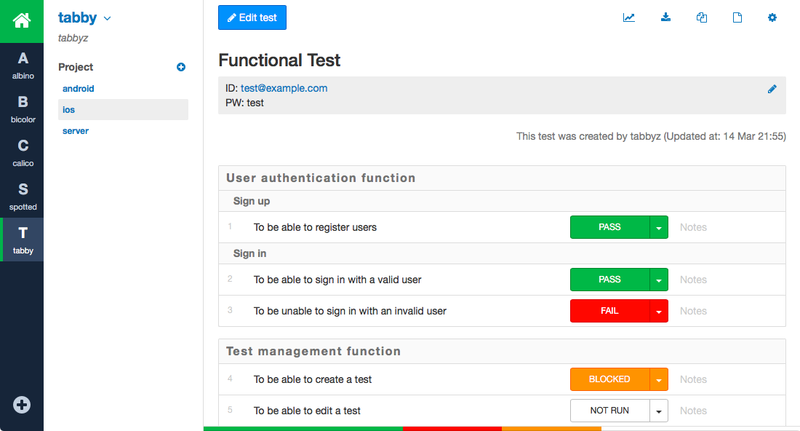 How do you share your test data with other users? All you need is to share the URL, you don't need to exchange any files any more. Our sourse code is available on GitHub. If you want to add some functions, feel free to extend. Issue and Pull Request will also be welcome.